DP World London Gateway is the most advanced deep-sea port in the UK. The port needed a system that would allow for transporting containers between the automatic stacking cranes and rail head, as well as between the customs inspection area and adjacent logistics park. A safe system, able to handle all different locations was needed. The Liftec translifter decouples containers on the cassette at different transfer points. Only 18 translifters are needed to keep a total of 200 cassettes on the move. By having the most advanced equipment supplied by NT Liftec, the port has been able to reduce the number of equipment needed by using only one transportation method, Cassette System. This enables the port to reduce fuel consumption, CO2 footprint, service costs as well as capital investment costs. Transport of heavy scrap steel blocks, steel beams and all kinds of scrap steel pieces. The transportation system has to be reliable in order to minimize down time in the production process. The Liftec Translifter decouples container on the cassette at different transfer points, keeping the capital investment always on the move. This helps reduce fuel costs, waiting times and the number of equipment needed. 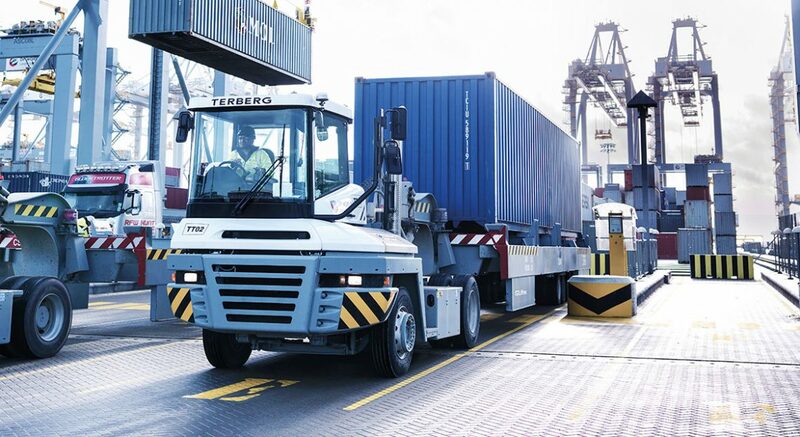 By using the most advanced equipment and technology available, the port is able to offer world-class service delivering reliable and efficient operations 24 hours a day, seven days a week. 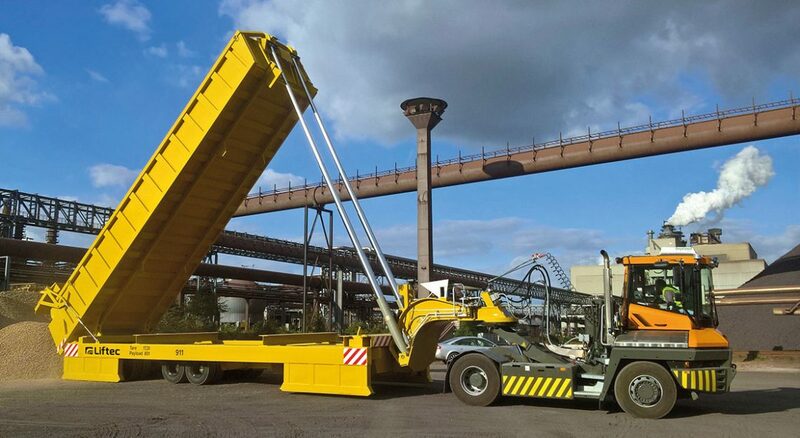 The Liftec LTH482 translifters together with the Tipping Cassettes enable to transport heavy loads of scrap steel in an efficient and safe way. The translifters can also be used for various other heavy transports by using the Liftec Flat Cassettes. TATA Steel The Netherlands. TATA Steel Europe is the second largest steel producer in Europe. IJTG Logistic is a logistic provider for the second largest steel producer in Europe. In this position, a reliable and efficient way of handling steel coils, general cargo and raw materials for steel making is expected from IJTG Logistics. Improved efficiency and safety in steel coil handling: The self loading principle of cassette systems enables shorter waiting times for machine operators and increase in productivity. IJTG Logistics chose Liftec as a logistics provider for an innovative way of handling raw materials in steel making. The Liftec translifter together with a push-off cassette is a flexible and efficient solution for material transports. Unlike regular trucks in which unloading is done by tipping up the bin, the Liftec push-off system pushes the material out, enabling the operator to control the uloading speed and amount of material unloaded. Liftec has delivered to IJTG Logistics robust industrial translifters for reliable every day operation – Coil cassettes for steel coil handling – Flat cassettes for general cargo – Tipping cassette for raw material transports in steel making – Push-off cassettes for creative ways of handling raw materials in steel making. C.RO is the brand name for the subsidiaries of C.RO Ports SA, which operates ro-ro terminals in the UK, the Netherlands and Belgium. 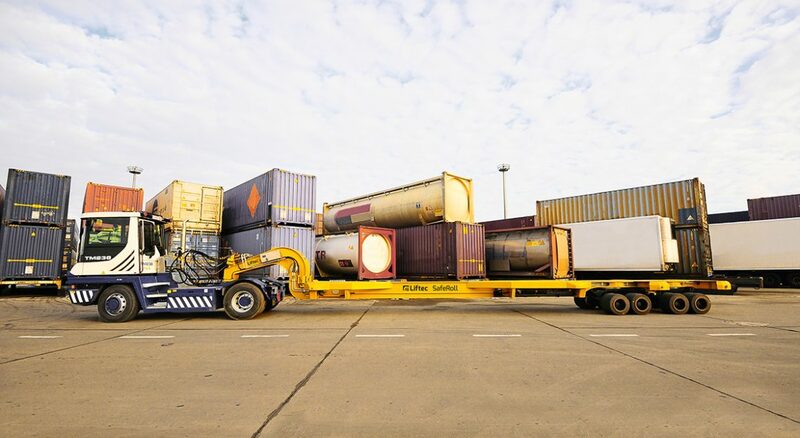 All ports are dedicated to the handling, storage and on-carriage of trailers, containers, vehicles and general cargo. The terminals are located in the ports of Killingholme, Sutton Bridge, London, Rotterdam, Vlissingen, and Zeebrugge. efficiency drove C.RO to acquire the Liftec cassette system for most of its roro lines. 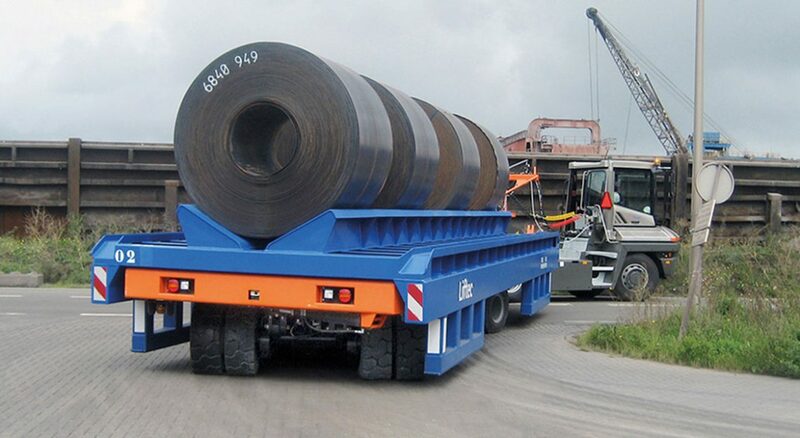 Back in 2010 C.RO started replacing roll trailers with cassettes in container handling. The Liftec cassette system was taken into operation for the first time on the line between Zeebrugge and the Dublin terminal in Ireland. approval of the new systems by the drivers, a total of 32 units were ordered from NT Liftec Oy. The result of the field test was convincing: not only safety was better in ramp handling but also efficiency was improved measurably due to easier and safer handing. When time savings in loading and unloading can be moved to reduce speed during the voyage, also environmental risks and CO2 footprint can be minimized per transported ton of cargo (Technical Research Centre of Finland VTT study VTT-R-05002-10, Cassettes vs. roll trailers – environmental considerations).